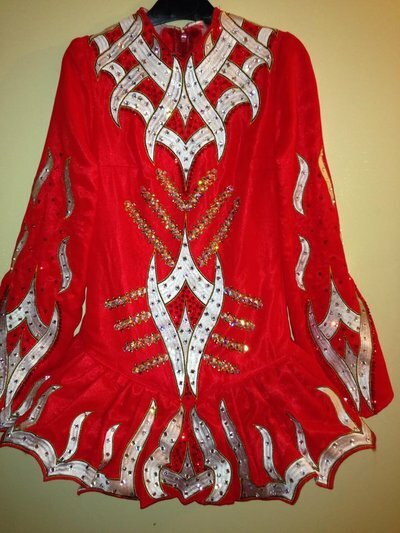 Brand new, stunning, red and white dress covered in diamonds. Has amazing stage presence. Very light weight.